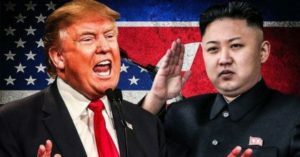 A North Korean threat to restart “building up nuclear forces” stands in contrast to President Trump’s recent cheery statement that he is “very happy with how it’s going [and] we think it’s going fine.” A November 7th CNN article reports “personal friction” between negotiators as discussions enter a protracted stalemate; the U.S. refuses to allay sanctions and suggests North Korea’s denuclearization efforts are merely cosmetic. Is there a chance for the talks to be productive? Ask the stock market.